In a career spanning four decades, Wilson B. Garnett earned the respect of his peers for his quiet determination and visionary leadership. Garnett began his industry career as a combination man with Central Telephone Company of Virginia in 1942, and returned as commercial supervisor in 1945 after serving in the U.S. Army during World War II. During the next 19 years, he held assignments of increasing responsibility with Centel, including state manager, division manager, regional manager, and vice president. 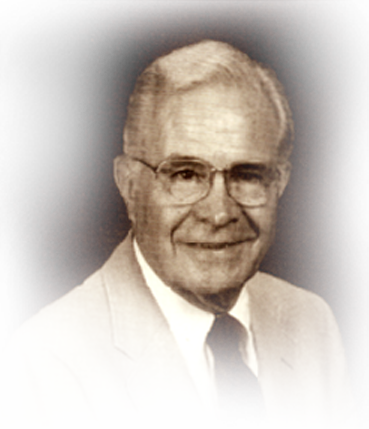 Garnett was named vice president and Eastern Region manager in 1965, and later became vice president and regional manager . Beginning in 1967, he served as vice president of Centel Corp., executive vice president of Centel, and president of Central Telephone Company. In 1986, he was named chairman of Central Telephone Company. Throughout his career, Garnett was instrumental in directing the modernization of Centel’s telephone operations, leading the company to be among the most modern in the country. Garnett’s telephone career also included service to several industry associations. He served USITA’s board of directors for 17 years. During that time, he was member of its Executive Committee and its Separations and Settlement Committee. He chaired the government Communications Committee and the Traffic Committee. He also served as USITA president in 1977. USITA awarded him the Distinguished Service Medallion in 1983. In addition, he is a former board member of the Exchange Carriers Standard Association, past president of the Virginia Telephone Association, trustee and past president of the Independent Telephone Historical Foundation, and director emeritus for ITPA. His civic contributions include service as an executive board member for the Boy Scouts, member of the board of directors of the United Givers Fun, trustee for the United Community Fund and Councils of Virginia, past president of the Charlottesville and Albemarle County Chamber of Commerce and past member of the Charlottesville City Planning Commission.